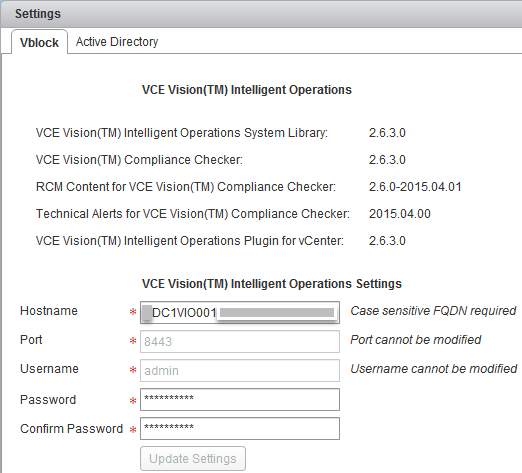 I recently upgraded VCE Vision and the Plug-In for vCenter in one Vblock and noticed that the VCE Vision Plug-In stopped displaying Vblock information in the linked vCenter (although vCenters are in the Linked Mode, you need to use the URL of the second vCenter when you launch vCenter Web Client). If you have two vCenters in Linked Mode and upgrade VCE Vision appliance and the plug-in for vCenter in one environment, the plug-in will be upgraded on the linked vCenter as well. 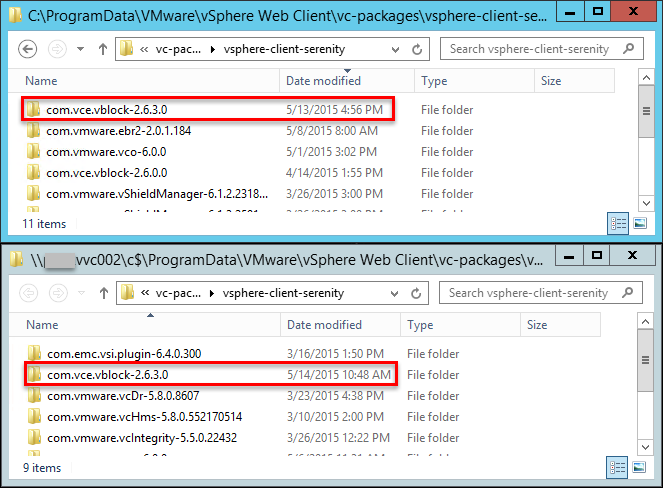 On the bottom screenshot we see the plug-in folder on the second (linked) vCenter. As you can see, the plug-in has been upgraded as well. I am not sure if it is a bug or a feature, I will forward these findings to VCE Vision development team for analysis. In the meantime, if you have vCenters in Linked Mode, please upgrade VCE Vision virtual appliances and the Plug-Ins one straight after the other. PS For the instructions how to upgrade VCE Vision IO virtual appliance and the Plug-IN for vCenter, please refer to “HOW TO: Upgrade VCE Vision” article.